The UK grime and MC scene is stronger than ever. Wiley's electro-charged, hip-house/rave anthem "Wearing My Rolex" is still in the Top 30 three months after it shot into the Top 10, while Estelle, who cut her teeth as a rapper, is the toast of Britain's and America's urban-music scenes thanks to her chart topping single "American Boy" and her acclaimed LP Shine, which gained a place on the Mercury shortlist. 2003's Mercury Prize winner, Dizzee Rascal, bagged the first No1 of his career this summer with "Dance Wiv Me", a collaboration with fluoro-electro artist, Calvin Harris. 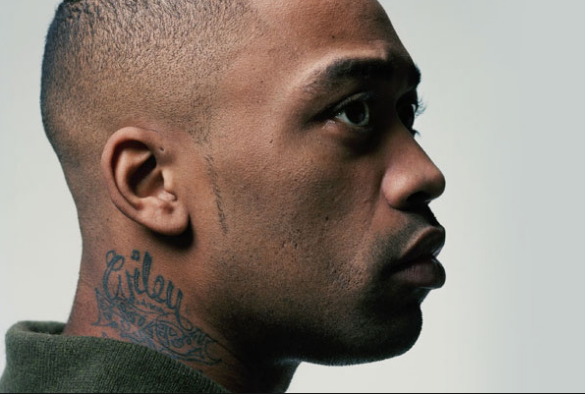 And there's more to come: Wiley's new LP has been signed by Atlantic, and continues grime's love-in with electro thanks to another certain hit ("Summer Time") sampling Daft Punk's "Aerodynamic". Skepta's "Rolex Sweep", a riposte to "Wearing My Rolex", has spawned a dance craze that has garnered high-profile fans including Coldplay's Chris Martin and er, Timmy Mallet. It's a scene that's been building and evolving in Britain for years. UK dancehall and reggae's fusion with hip-hop forged a distinct voice and style for home-grown rap, but the music of Jamaica – via Britain's Caribbean community – also filtered into acid house, spawning jungle, drum'n'bass, UK garage, dubstep, and grime. Although it's not immediately obvious, contemporary British urban stars, such as Roots Manuva, who releases his sixth studio album Slime and Reason next month, Wiley, Dizzee Rascal, Estelle and Ms Dynamite owe a large debt to Jamaican Londoners' dancehall and reggae soundsystems that mirror those "back home". So do late 1980s/early 1990s success stories such as Soul II Soul, led by Jazzie B (who now lives between London and Antigua), and Massive Attack, with their soundsystem, or loose collective, ethos. Roots Manuva (Rodney Hylton Smith)'s mix of cockney and patois rap – with references to cheese on toast and bitter – over rumbling dub encapsulates the hybrid of dancehall and reggae MC-ing, US rap with an English slant. "I grew up seeing soundsystems at weddings, parties and local-government-funded festivals," recalls Smith, "and my experience of dancehall came from 'soundtapes'; the recordings of reggae dances with MCs and deejays chatting over dub instrumentals were like golddust at school. People traded the Saxon Soundsystem soundtapes round the playground." These crackly audio cassettes were the catalyst for Smith, now 35, to begin rapping: "I started by rapping other people's lyrics from the soundtapes. We would take their lyrics and put our own little twist on them. I did a few parties and tapes," he says. When "Rappers' Delight", featuring the Sugar Hill Gang rapping over Chic's disco hit "Good Times", catapulted hip-hop from the Bronx in 1979, for Smith it wasn't so far removed from the soundtapes. "Between the ages of eight and 10, I was strictly into reggae, and the first time I heard rapping was 'Rappers' Delight'. That was a massive tune – people used to sing it round school but it totally went past me. To me, it was 'soul talking' – a soul tune with people talking. It wasn't until four years later, and the film Beat Street, that I got into rap and hip-hop." Gabriel Myddleton, who compiled An England Story – a 21-track, double CD (four vinyl record) compilation charting the evolution of the MC in Britain over the last 25 years – with Gervase De Wilde, believes that dancehall and reggae's MC culture is part of hip-hop's DNA. "Viewing dancehall as separate from hip-hop or, as it's often described, a Jamaican variant of hip-hop, is crazy as they all come from the same place in the long term, which is African music," Myddleton says. "Reggae caused the birth of hip-hop, as Kool DJ Herc [hip-hop's alleged inventor] was Jamaican and brought the soundsystem to the Bronx." Smith concurs: "Kool Herc was Jamaican. He went to America with his sound, dressed down his patois and flipped it into hip-hop." What inspired Myddleton and De Wilde (dancehall DJs, producers and bloggers The Heatwave) to conceive An England Story? "Unsung dancehall and reggae artists like the Ragga Twins and what they were doing with the Unity Soundsystem and Papa Levi and the Saxon Soundsystem in the 1980s were completely under the radar from London and the UK. We wanted to highlight their influence on the here and now, and try to understand English MCs in terms of their Englishness and Caribbean background," says Myddleton. South London's Saxon Soundsystem proved commercially successful, with Smiley Culture's No12 hit "Police Officer" securing the singer/MC two Top of the Pops appearances in 1984. In the same year, Saxon's MC Papa Levi's "My God My King", incredibly, went to No1 in Jamaica. Unity hardly released any material. By the late 1980s, acid house and rave had supplanted rare groove, soul and reggae as the soundtrack of inner-city Britain, and Unity's leading MCs, Deman Rockers and his brother Flinty Badman, took their hosting, toasting, chatting and entertaining skills, honed over a decade on reggae soundsystem, to raves as the Ragga Twins. "We made more money in the first six months on the rave scene than in the 15 years doing reggae," announces Rockers. In 1989, Tottenham's Rebel MC combined speeded-up breakbeat with patois chat and reggae effects to compelling effect on "Street Tuff" (No3 in the UK singles chart), laying the foundation for jungle. The Prodigy's 1992 rave anthem "Out of Space", sampling Max Romeo's "I Chase the Devil" (produced by Lee "Scratch" Perry), continued the fusion of reggae/dancehall with rave, before General Levy broadcast jungle to the nation by performing "Incredible" on Top of the Pops in 1994. Ever since the Ragga Twins, MCs have been omnipresent in the genres that followed jungle – drum'n'bass, UK garage and dubstep – fulfilling much the same role, acting as a link between audience and music and keeping the dancefloor "bubbling". It was with So Solid Crew that MCs took centre stage, and this has continued with grime. In 2008, grime has finally found mainstream success, by rediscovering its good-time dance-music roots. Soundsystem culture has reverberated through pop, too, whether in Basement Jaxx and Groove Armada's dancehall-flecked house, or The Streets and Lily Allen's "chat rap". Smith is staggered by how far this English rap patter has travelled. Warrior Queen's 2008 single "Things Change", charting how the Jamaican-born dancehall queen adapted to life in Britain, and Tippa Irie's "Complain Neighbour", about a neighbour griping about "reggy" music, might be separated by 25 years, but both feature social commentary. "It's always been topical. Smiley Culture's 'Cockney Translation' translated cockney for Jamaicans, and 'Police Officer' was about being stopped and searched. It's the tradition of the African griot, and the English town crier – it's the same thing: storytelling, a combination of stand-up entertainment, telling a joke, telling a story, motivating the crowd, and getting a response," Smith goes on to explain. More than 25 years after Smith was mimicking soundtapes at school, Dizzee Rascal (18 years old when he won 2003's Mercury Prize) and the next wave of grime MCs, such as teenagers Chipmunk and Griminal, are evidence that MC culture is alive and kicking in school playgrounds. Smith sees grime as the next stage of British MC culture: "You get beautiful moments with grime MCs. Some of them don't even know where the culture comes from, but it's a beautiful thing how they've taken it on and the influence is reaching from different generations and age groups and to people from different backgrounds, not just Jamaican kids."